I just never got around to playing the original Splatoon, which is honestly one of my all-time biggest points of shame as a game critic. I spent the majority of the Wii U era slamming Nintendo for playing it way too safe, only to outright miss one of their most original and exciting ideas in years. While I stick by my criticism of that system’s life and the company’s overwhelming need to try new things, here’s my opportunity to offer a mea culpa of sorts on that mistake of mine. 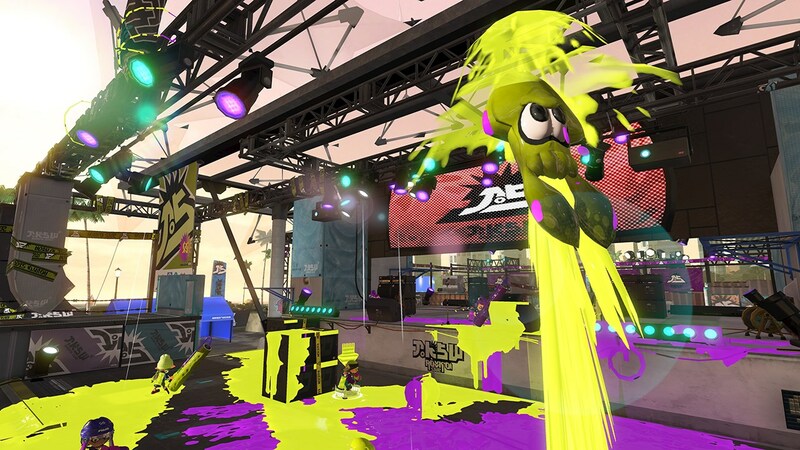 Now that I’ve gotten just a tiny taste of Splatoon 2, I highly regret not being part of the initial hype surrounding the first title … because I wanted to play far more than the two four-minute matches Nintendo allowed PAX East attendees in their booth. 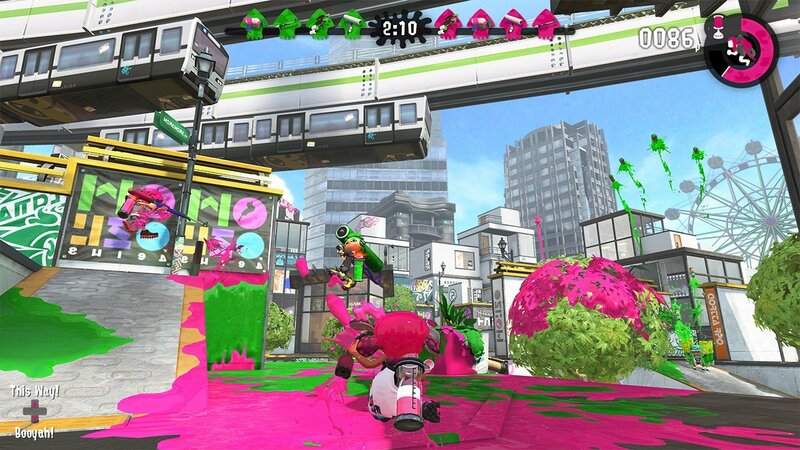 While I do feel bad about missing out on the Inklings’ first outing, I’m certainly not going to be the first person to kick things off with Splatoon 2 given Wii U’s minuscule installed base. Unfortunately, this quality does leave me with the inability to compare what I saw in this game to the original, but my instinct is to say that things are pretty damn similar. 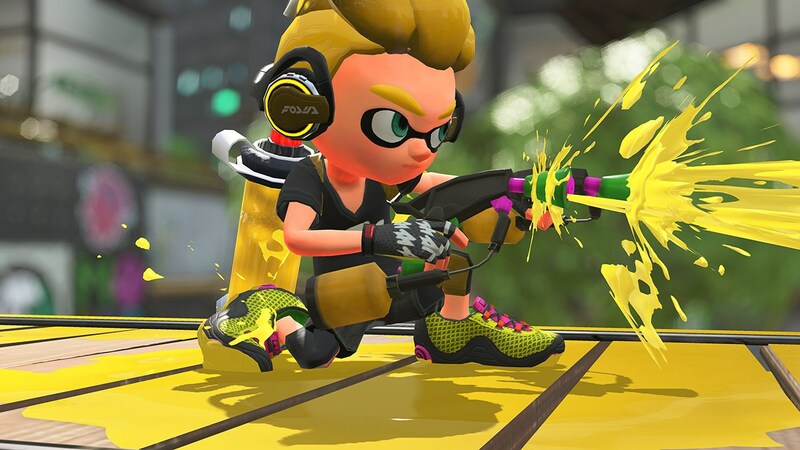 I did watch about a bajillion trailers, gameplay videos and those godforsaken commercials, after all, so I’m familiar with the general slate of courses and weapons — and what I’ve seen in the splat-filled sequel seems awfully familiar from a visual and content perspective. Don’t sound the alarm bells on that, of course; I don’t doubt that, like the first game, there will be a number of unique rollouts post-launch to keep people invested. After previewing both this game and ARMS, I’m compelled to once again mention how great Nintendo is at making seemingly complex systems very easy to pull off. Reminder that I had never so much as touched a match of Splatoon — not even during one of the free Global Testfire demos — prior to these two at PAX East. As a measure of their ability to teach quickly, I needed nothing more than the minute-long tutorial to feel right at home with the controls… and I actually came out on top as the player with the most points in both the matches I played. As much as I’d like to brag about that, of course, the praise really has to go to the designers at Nintendo. I’m impressed with their ability to create experiences that just about anyone can jump into and be relatively successful. 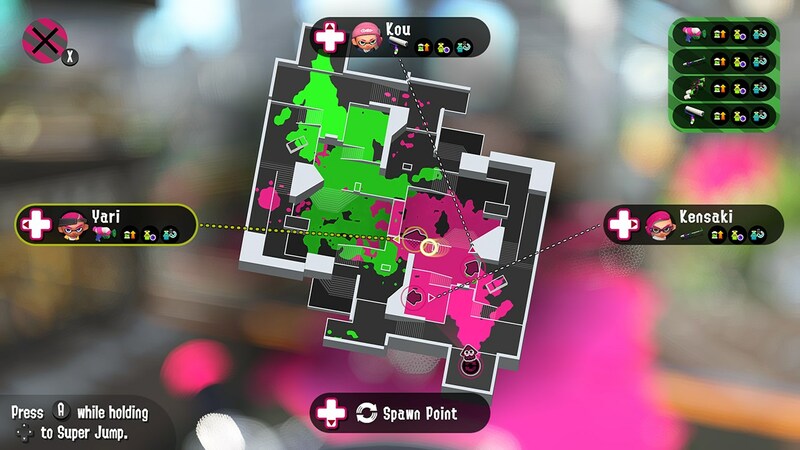 And man, if you haven’t yet jumped into the ink and smoothly traversed the map as a squid, all I can say is that few things in gaming feel as satisfying as that. 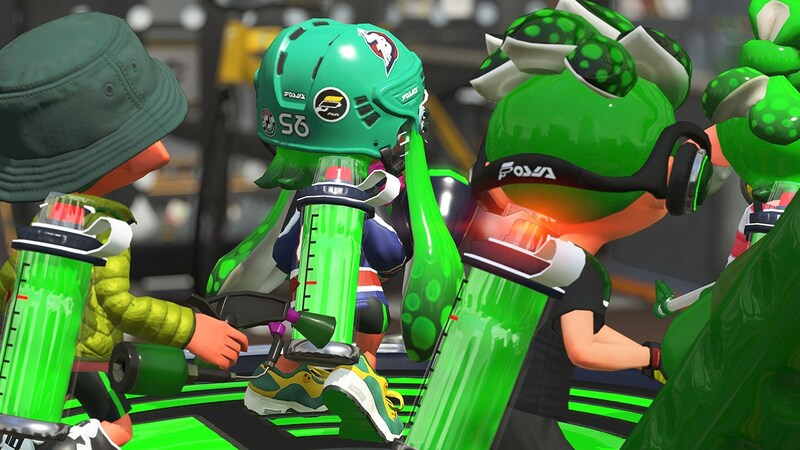 I’m also kind of shocked, looking back at the release of the original Splatoon, that anyone was ever clamoring for traditional right-stick aiming in this game. Say what you will about motion controls — their lame gimmickry in way too many games has earned them some amount of scorn, to be sure — but I don’t think their use for aiming in Nintendo titles has ever been anything but an improvement over the slow, clunky analog method. Just as players with controllers find themselves with a significant disadvantage compared to those using a mouse and keyboard in first-person shooters, I have to think anyone using traditional controls here would find themselves having a bad time against those utilizing the gyroscope. It is a bit strange and disorienting having to twist and turn the console itself when the Switch is in portable mode, but I’m sure it’s something players will be able to get used to. 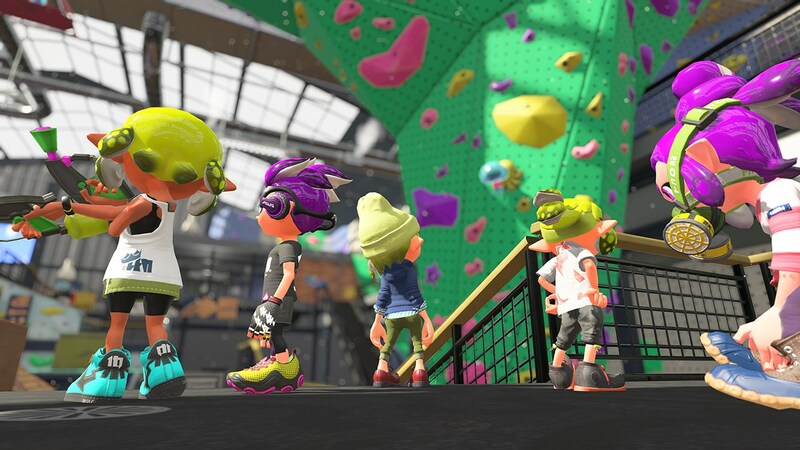 As I said before, I know Splatoon 2 is probably going to serve a lot of people like me, who just didn’t find the time to play the original. 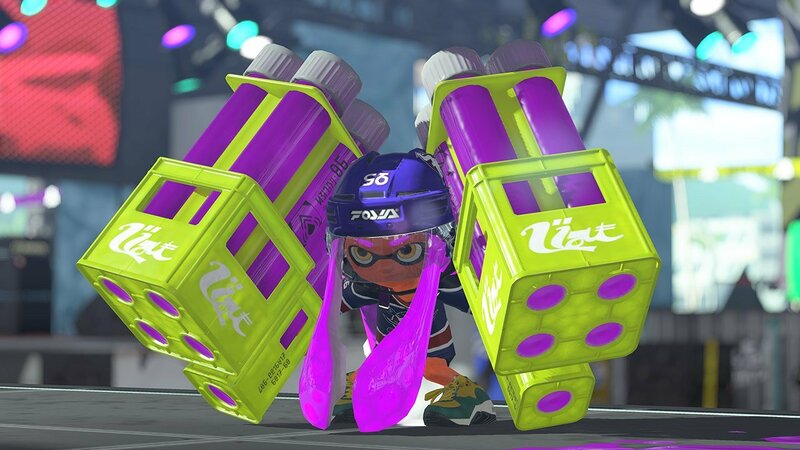 But I hope Nintendo also remembers to add plenty for returning folks as well — for what it’s worth, I think the new Splat Dualies are a good start as far as cool new weapons go. Again, I can’t really compare them to what’s already been on offer, but I can say they’re unbelievably fun to use. 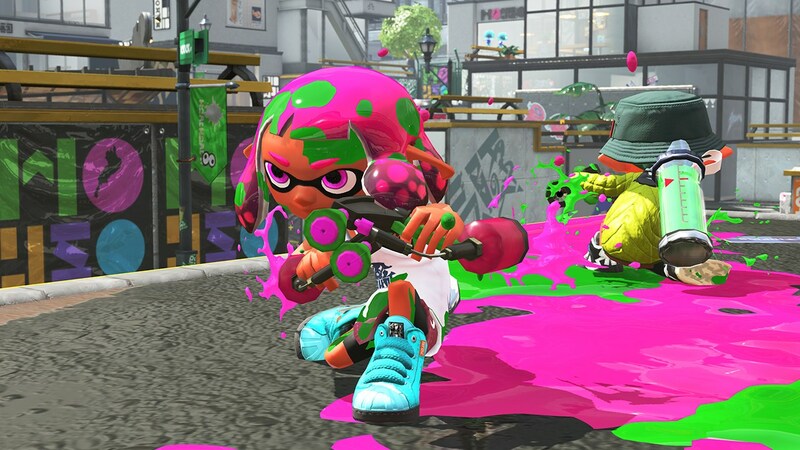 Being able to roll out of the way to quickly dodge attacks or cover more ground is an absolute blast, and it feels like Nintendo is giving players an option to be a little bit more mobile as kid-form Inklings (since wanting to dodge or get anywhere quickly is mostly limited to squid mode otherwise). 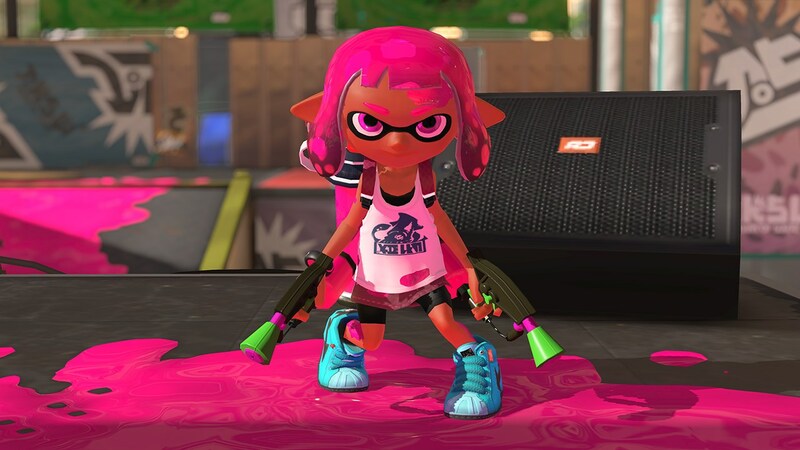 Also, there’s just something inherently satisfying about using two weapons at once; I find myself dual-wielding whenever it’s an option in games, and you can bet I’ll be doing it again when Splatoon 2 launches this summer. 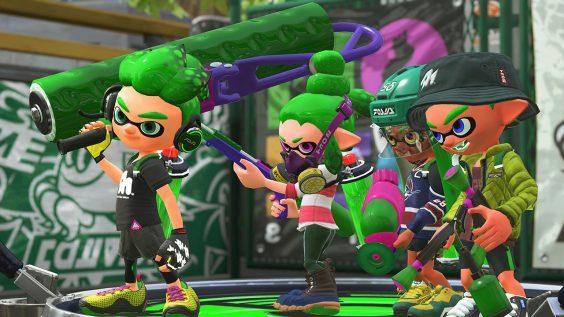 I was surprised to see Nintendo go all-in on a sequel to Splatoon when so few people played the original (I assumed they’d opt instead for a Mario Kart 8 Deluxe-style re-release), but it seems they plan to reward those who fought with the Inklings the first time around with more surprises, and I’m happy about that. This is one of those bold, weird ideas I’d been desperately craving from the company for a while, and knowing this franchise has a cozy place among their other legendary IP is reassuring… even if I did technically blow it by missing the original. 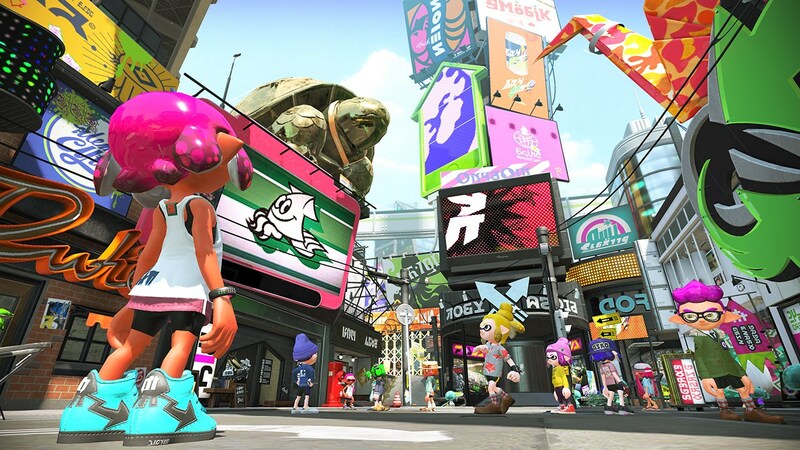 But I’m here now, and I can’t wait to check out the final version of Splatoon 2 on Switch.